This baby is older than me! After working at Goodwill for 15 months, I’ve come up with a sound theory on donated items. If someone has donated an appliance that is very old (from the early 90’s or 80’s and back) one can assume two things. 1 The item at hand was really amazing, but the person/family decided to upgrade after 10-20 years to the newer version of the appliance. 2 The item at hand had been stowed away for years, and the person/family had decided to donate it because it had been collecting dust for 10-20 years. One should always be weary of more recent or seemingly brand spankin’ new appliances that have been donated. 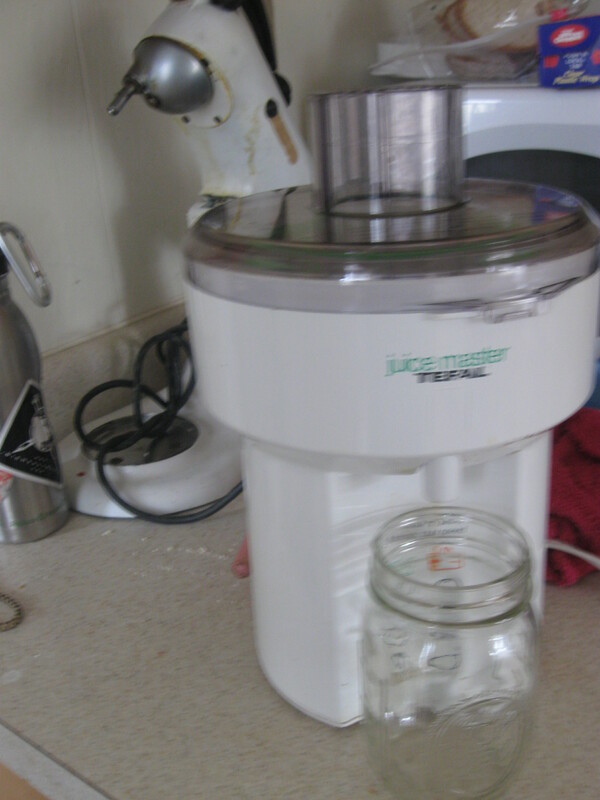 For example, several months ago I bought a Sharper Image juicer at said store. I was beyond miffed to find out how inefficient it was (I could practically drink the left over pulp that should have been dry!) Thus, I realized the excited person/family must have used it once after the 30 days they had bought it, been unable to return it, and had driven to the Goodwill in anger and donated it. My Kitchen Aid mixer from the 60’s has proven to be an absolute tank, so when my eyes settled upon the Tefal Juicer from 1989, my heart fluttered like a twitterpated song bird. Note: The day I left early to buy the juicer was the day I was forced to block one of my neighbors in…oh the drama, but it was sooooo worth it. 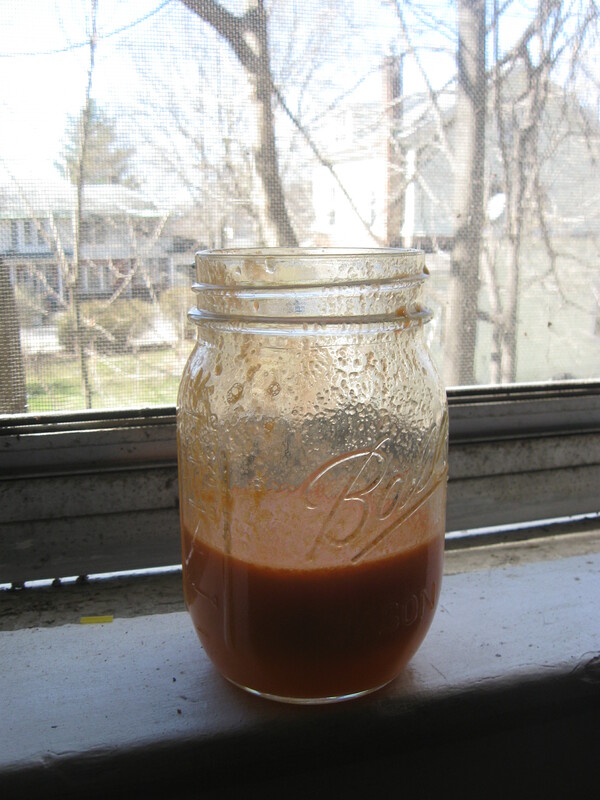 Juicing is great because it allows you to liquefy vegetables for easy consumption. 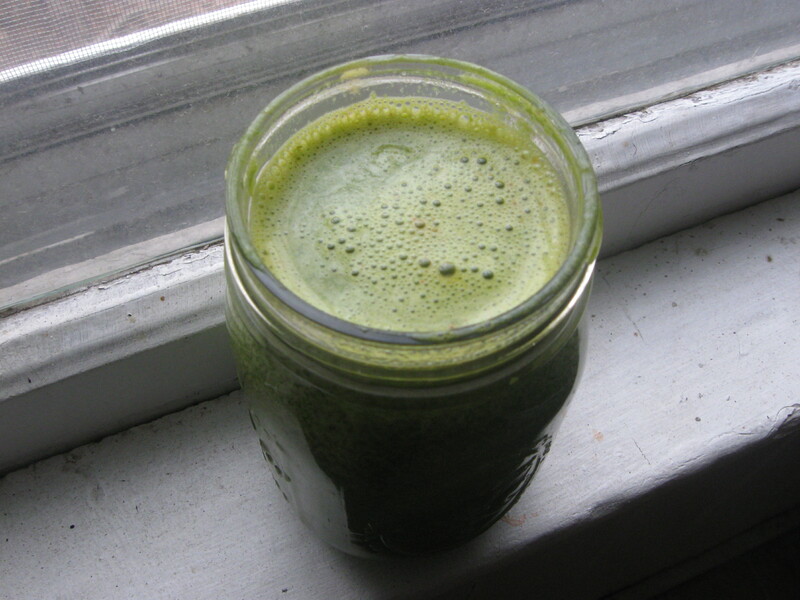 My blender is not super powerful, so when I make green smoothies I can really only incorporate greens like spinach, collard greens, and the occasional Swiss chard. 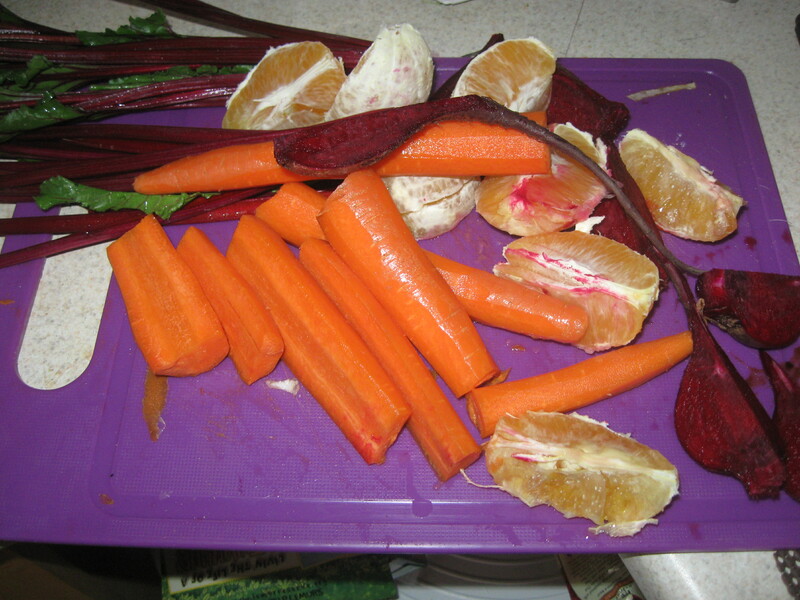 There was a whole land of carrot, beet, celery, and apple juice that I was not privy to, sigh. 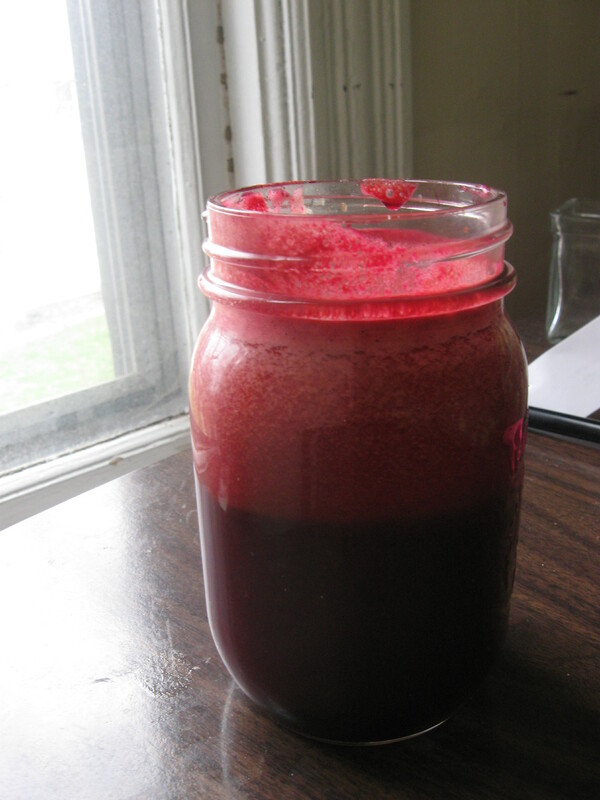 Plus, when you make your own juice there aren’t any added sugars and chemicals that are found in store bought juices. Yup, you heard me, this is juice you can actually drink on a regular basis! When you blend or juice fruits and vegetables, the enzymes break down and your body has a far easier job of digesting them. With smoothies (which I will be writing a post on), since you don’t strain anything you are able to maintain the fiber. 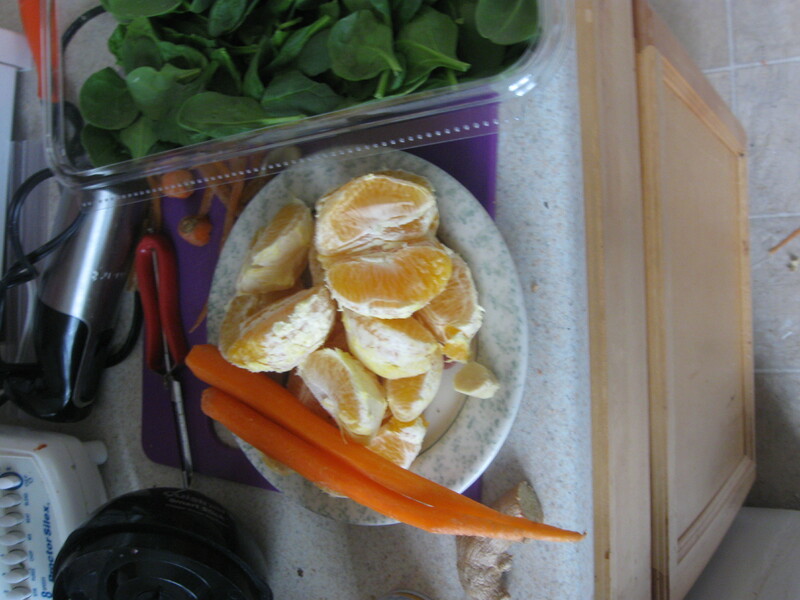 With juicing, the fiber is removed in the form of pulp and you are left with what I like to call: the essence. I don’t think one is significantly better than the other, though, I will admit that smoothie-ing is less of a process than juicing—there are so many parts of a juicer to clean! However, I think you do miss out if you are only able to do one. So, if your finances allow you, buy both! So far I’ve made three awesome juices with my juicer (which has yet to be named!) I made a lot of stinker green smoothies at the beginning, so perhaps this learning curve is a lot better. I bought some Valencia juicing oranges at my local co-op for 30 cents a piece! Carrots are great because they do yield a large amount of juice and oranges are a sweet punch of vitamin c. The ginger was for some pizzazz and to make me feel a little hard-core. Recipe #2- Getting a little green! I was really excited to use kale, because it doesn’t blend so well in my little Proctor Silex Blender. I first put in the carrots, then the kale, and finally the oranges. If you decide to use greens make sure you have something to add afterward to push through any leftover pieces and juice that might be sitting in the spout! I’ve noticed that when adding greens you can definitely taste them initially, but if you have something sweet in the drink (like the oranges) that is the taste you’ll be left with. Chris and I don’t get many things at the co-op (wayyyy outside our budget for a full trip), but when I saw a bunch of 4 beets for $2.99 I had to get them. This definitely wasn’t as sweet as the other juices, but still palatable. Because of that, I wasn’t able to slurp it down as fast as the other recipes and the rest is in my fridge for tomorrow morning. Here are some ones to tips, recipes, and nutritional facts on this voluptuous purple root veggie. When you are showering, making breakfast, or have a few spare minutes, listen to this video on juicing. You’ll pick up great tips on what fruits/vegetables will fill your cup up and what greens won’t leave you feeling like you bought a bunch for nothing. If you aren’t used to eating fruits and vegetables tread lightly into the realm for the first week or two. Most of these recipes have topped off my 12 oz mason jars. That’s a lot of fruits and vegetables to be drinking in one sitting and can cause what is kindly called “runny tummy.” Your body will soon adjust, trust me, but you might find yourself having to go to the bathroom if you sip it down with the same amount of ease as Tropicana Orange Juice. Finally, freshly prepared juices start to lose nutrients quickly. It’s advisable to drink them immediately or within 24 hours. As the video above mentions, grapefruit and orange juice can last up to two days if properly stored. Be ready for a delicious hip opening sequence tomorrow!! !